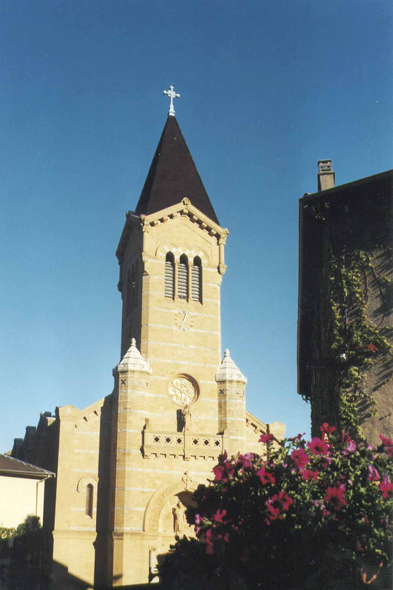 The church of Jarnioux. Everywhere presents, used in the construction of the houses and the castles, but also of the churches, the washhouses, the wells and the low walls, the stone dominates the landscape. Its gilded, light ochre or russet-red color according to the period of the year, is source of soft light and gives Tuscan reflections to the villages. The country of the Gilded Stones is one of the most beautiful sites of the neighbourhoods of Lyon.